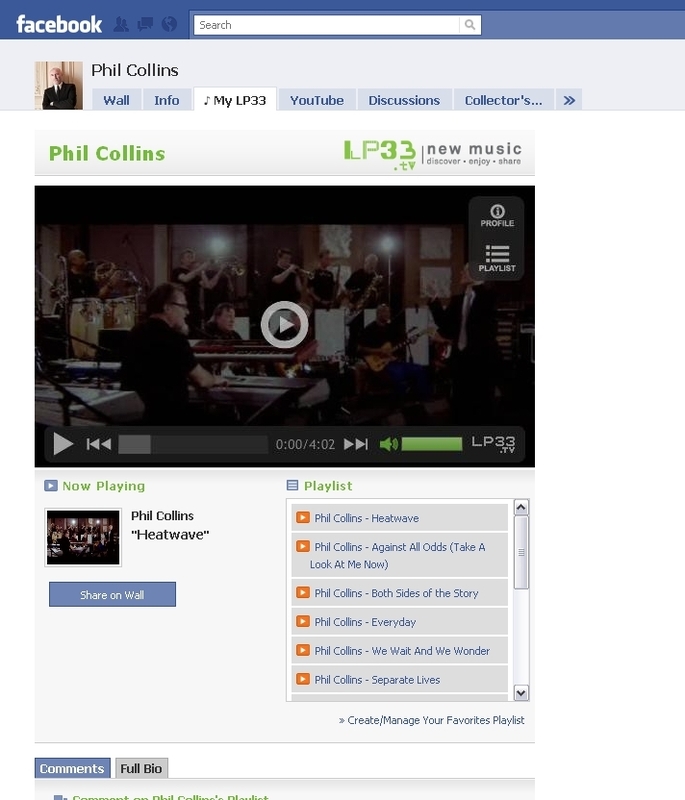 To leverage Facebook’s massive user base, my team developed the “My LP33” application to bring the LP33.TV portal experience into Facebook. The application was a powerful music sharing and promotion tool was used by major artists including Tori Amos, Moby, Ringo Starr, Phil Collins among others. 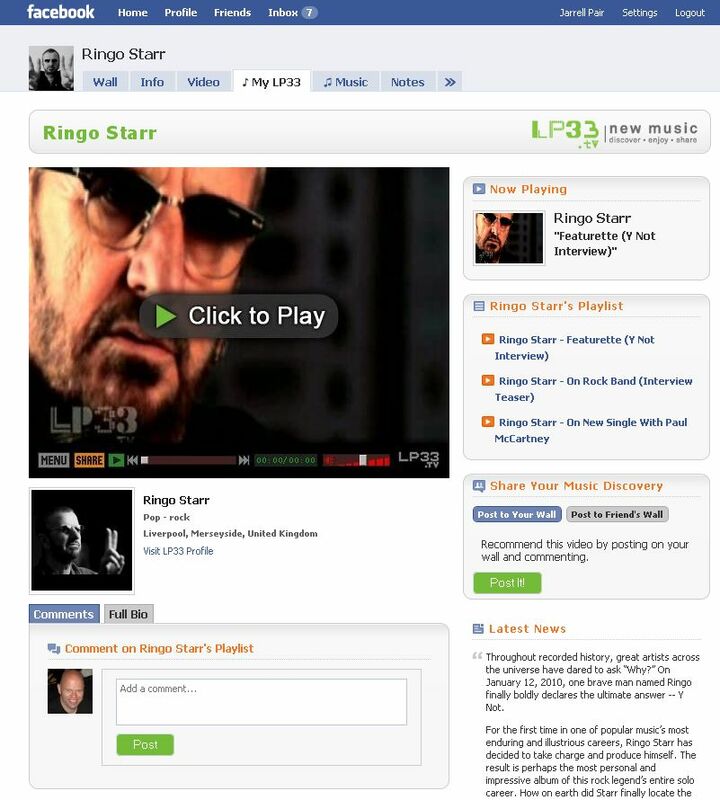 It was also utilized to promote LP33.TV’s coverage of festivals such as Lollapalooza and South by Southwest (SXSW).